There have been recent discussions and articles around who actually benefits more when people volunteer abroad: the community or the volunteer. Some people likely start their volunteer trip thinking they are going to show up and save the world simply by being an educated foreigner. This approach is naive, and rarely helps anyone. There are so many examples of volunteers applying their short term solutions to long term problems because their volunteer stay was only temporary. Some volunteers also think donating money or handing out things for free is a sustainable way to help. This just teaches a community to depend on foreign handouts rather figuring out how to solve problems. In this guide, we hope to dispel some common myths and answer any questions you might have while deciding if volunteering is right for you. 4. Where can I volunteer? 6. Why do I have to pay to volunteer? 8. What will I get out of it? In order to help a community, you have to first understand it. Once you, or hopefully your volunteer organization, has spent time in the community talking to people about their needs and how they want to solve the problems, then you can start implementing solutions. By having the attitude that you are working with a community, not just arriving and calling all the shots, your efforts will be a lot more effective. By having the attitude that you are learning as much as you’re teaching, your opinions will be much more respected. This type of volunteering requires more effort, patience, and attention, but will ultimately help the community be more sustainable and self-dependent. You have a huge responsibility as a volunteer to not only put the community first but to act as a representative of your country and the western world. Depending on the type of project you are working on and the country you are in, the community you are working with might have very little access to the outside world. You will be in the position to teach them your language, customs, beliefs, and ideas. In this sense, volunteering should be viewed as a mutually beneficial cultural exchange, rather than one side receiving everything. Though your focus should be mainly on how you can help your new host community, it’s important to recognize and appreciate what volunteering abroad can do for you. There are loads of personal benefits that come from putting yourself in the role of a volunteer. The most obvious are the benefits the come from any kind of travel abroad. By immersing yourself in a different country, trying new foods, speaking to different kinds of people and being exposed to new ideas, you are helping yourself become a more culturally aware, well-rounded person. The amount you learn about another country, culture or lifestyle increases when you are spending significant time living among locals as a volunteer. Traveling broadens your horizons in ways you wouldn’t believe unless you’ve done it. But as much as it opens your eyes to the ways other people live, it also teaches you new things about yourself. While volunteering abroad, you could discover new interests or hobbies; you could realize that you are passionate about teaching and change your career path; you could realize that you love learning about health and decide to study that in college. There a million new things you could be introduced to that could alter your path through life. Additionally, volunteering stretches your capacity to handle situations, which ultimately gives you more insights into your own personality. You could learn that sitting on a bumpy, crowded bus doesn’t bother you that much, but that trying to bargain over an apple in a crowded market at the top of your lungs really irks you. Whatever kind of volunteering trip you take and for however long, you are bound to find yourself in an unknown situation. How you react and move forward will teach you a lot about yourself. Volunteering can absolutely add to and enhance a resume. For students applying to go to college, to recent grads applying for jobs, to professionals looking to switch tracks, having overseas experience in a certain field can totally boost your qualifications. This is especially true if you learned a language while abroad, or built transferable skills. But even without anything specific, spending time overseas immersed into a culture is becoming more and more a marketable skill. The global marketplace is expanding, and it’s valuable to have experience working with people of another culture and having knowledge of different regions of the world. The ability to make friends with people from all over the world is a HUGE benefit that often gets overlooked. When you’re working with locals all day, you’re bound to strike up a conversation, even with language barriers. If you’re the only volunteer or part of a small group, you’re bound to get lots of attention from your host community. You could be invited over for dinner, show around the town, and be given traditional food. If you are living with a host family, these opportunities will be even more prevalent. Take advantage of getting to know the local people – you could be invited back one day and then you’d have a place to stay! Making friends with the other volunteers is also common. Volunteers come from all over the world and also have their own language, customs, traditions and culture to share. Use the nights and weekends, after your duties are over, to talk with or even travel with your other volunteers – you could learn just as much from them! Plus, after the volunteer stay is over, you’ll have a network all over the world which could provide even more opportunities to travel. Lastly, you can’t forget the best reason to volunteer: helping people just feels good! Knowing that you contributed to the construction of a hospital, or that your English lessons helped a student pass their class, or that your organizational skills helped a community make improvement plans will stick with you forever. Everyone wants to feel like they’ve done their small part to make the world a better place for someone. Volunteering abroad is a great way to make that happen. Speaking generally, a volunteer is someone who travels to a country with the explicit purpose of donating their time to help with a project. This is opposed to a voluntourist, who combines a shorter, likely less involved volunteer trip with their other travel or vacation itinerary. A voluntourist is viewed as not being as committed to helping, and even though they might have good intentions, will benefit more from the experience than the people they are trying to help. The exact distinction between a volunteer and a voluntourist is debatable, and many articles have recently been published about the controversial topic. But the more important thing to remember is that there are necessary steps to follow and mentalities to have to ensure you are being an ethical volunteer or voluntourist. The first and most basic step that often gets overlooked is researching. Don’t sign up with the first volunteer organization you come across. Search around for a program that matches your skills and interests. Read reviews of organizations on sites like Go Overseas to make sure they run good projects. Ask questions about the sustainability of their projects. Find out exactly how your volunteer fees are being allocated. Ask about the needs of the community and make sure you aren’t taking a job away from a local. Being mindful of all these factors while doing your initial research will help you narrow down your options. It’s important to read some of the articles in circulation about the pitfalls of voluntourism and how to avoid being a careless voluntourist. It’s also helpful to read background information about your country of choice and to be knowledgeable of the types of issues that are present there. Another important thing to consider is how long you plan on staying at your volunteer project. If you only have a few weeks to spare, the responsible option for a project would be something that doesn’t have anything to do with children. When you work with children, they tend to get attached. When volunteers leave after only a short time, it negatively affects the child. What to look for in a good program? The first indication of a good program when you are researching is if their website is straightforward and has lots of useful information. If you have to dig around for how much the program costs or what exactly you’ll be doing once you arrive, you probably want to consider another option. The next good indication is if they are responsive when you contact them. Do they answer your questions? Are they evasive about money and logistical matters? Are they friendly and open to helping you figure things out? Pay attention to these things when you interact with them and watch out for any red flags. You can search the web for reviews on them and reach out to others who have volunteered with them. Leave no stone unturned! Where do my volunteer fees go? Are the projects you run sustainable and helpful in the community? Will I be volunteering with other people? What kind of support will I receive while I’m on the ground? Is the town I’ll be living in safe? There are volunteering opportunities all over the world. From rich countries to poor countries, rural villages to bustling cities, the tops of mountains to under the ocean, the options are endless. There is more need for volunteers in developing nations, so Africa, South America, and Asia are more popular for volunteers than North America, Europe, and Australia. According to the 2014 Official Volunteer Abroad Trends Report by Go Overseas, the most popular countries to volunteer abroad in 2014 were The Philippines, India, and Thailand. Where you decide to volunteer can be influenced by a variety of factors. Natural disasters can sometimes play a part in the decision, like with the Philippines. Typhoon Haiyan in November 2013 led to a significant increase in the amount of interest and volunteers going to help. Another factor may be the safety or economic stability of a country. Countries like Tanzania and India may be poor, but there is a general sense of a stable government and minimal civil unrest. Countries like Thailand and Costa Rica are also popular volunteer destinations because many tourists also visit these places, making it easier to adapt to the culture. When thinking about where you want to volunteer, it’s important to think about a combination of your interests, needs, and skills. You don’t want to choose a location only to leave a few weeks after you arrive because you can’t adjust. Make sure you research and think about what kind of country you are interested in learning more about. It’s good to be taken out of your comfort zone, but don’t choose a country that is unsafe or practices a religion that you strongly disagree with. This will cause you to leave your project early, which is not very responsible. The majority of volunteer organizations will allow you to apply for a position online, though the application process varies. Some may require you to fill out basic information and others may require much more in-depth research and knowledge. Some, like teaching or medical work, may require experience, a degree, or other qualifications. Some projects involving children may require a background check. All organizations should be clear in their requirements so you are prepared to apply. For the actual application, you may be expected to answer questions about your goals, motivations, and how you’ll be able to help in the community. Some organizations may ask you for references or to provide proof of your experiences. An application fee is also required of certain organizations and in some cases an initial down payment. After applying, it may take a few weeks for the organization to verify your information, especially if waiting on a background check, so try and plan a few months ahead of time. This will also give you a chance to get any immunizations you might need, buy a plane ticket, and save a bit of money. It’s important to keep in mind that sometimes the best way to support an organization is to donate money. For many people this is not an option, and they’d rather donate their time and skills, but just be mindful of making sure the organization you choose actually needs time and skills. Saving for a volunteer trip – especially when you plan on being gone for a few months – can be a daunting task. It’s best to start saving at least two months ahead of time, and longer if you’re planning an extended stay (longer than three months). You can use a crowdfunding website to raise money, and ask for support from your family and friends. Sell that extra lying in the back of your closet, or consider moving back in with your parents for a few months if that’s an option. You can partner with local organizations to organize a fundraiser. Or it can be as simple as avoid buying fancy coffees every day. Get creative! There are a million and one ways to raise the funds as long as you set your mind to it. Some people grow frustrated at the fact they have to pay money to work for free. I can certainly understand this argument, and it’s tough to pay a fee in order to devote several months without gaining any income. However, most volunteer organizations are non-profits and have very minimal funding. Without volunteer fees, they wouldn’t be able to pay for their staff, support, rent for housing and/or projects, food and other logistics. Most organizations wouldn’t be able to survive without money from the volunteer fees. 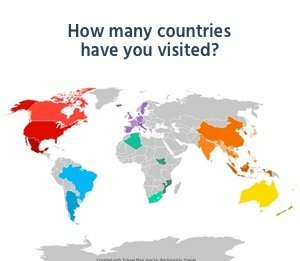 There are some options to volunteer abroad for free if you search around. However, you will likely not get the support you would get from an organization that you paid for. The more a program costs, it’s likely the more support, the better food, and the better living accommodations you’ll have. If this isn’t important to you, search for a free option. What will I need to spend? It’s a great idea to budget out your expected expenses before you go so you can adequately prepare and save. Having enough of a stockpile of cash will prevent you from worrying about running out, and help you stay focused on your experience and you can help others. Below is an educated estimate at what you should expect to pay. This can vary depending on length of stay, country you’re traveling in, and what is included in the volunteer fees. The price of programs can vary greatly. If you are comfortable with traveling and feel you don’t need much support in a new country, you could get away with paying around $250/week for a less structured program. This might mean your accommodation won’t be as nice, or your food won’t be as good. If you want a more guided experience with extensive support, you should expect to pay upwards of $600/week. This could include things like airport pickup, 24/7 assistance, increased safety measures, or even weekend trips. Think hard about the type of experience you want before committing to a program as this will ensure you are satisfied with your volunteer trip. Volunteer House: Many projects rent houses in the local community to house a group of volunteers. In this case, you’ll likely be sharing a room with one or more people of the same gender and will have your meals together in a communal kitchen or living space, provided by the organization. This is a great way to befriend the other volunteers and will provide you with more autonomy than staying with a host family. Apartment: If volunteering in a big city, you might be housed in an apartment, either with another volunteer or by yourself. This means you’ll probably be able to cook for yourself and will have a lot of independence. Guest house/Hostel: Some volunteer organizations work a deal with a local guesthouse. They reserve rooms for their volunteers according to their intended stay. This is an interesting option, because it allows you to room with other volunteers, but still have access to other travelers, either local or foreigners. In this case, the volunteer organization will likely provide you with meals or give you a stipend. Host Family: This option likely allows for the least amount of privacy, but the amount you gain makes it worth it. You will be much more culturally immersed than in other settings, and in many cases will love your hosts like a second family. You’ll be able to experience more diverse foods, holidays, traditions, and will be able to practice your language skills every day. Staying in a host family can be challenging, but is such a unique way to experience a country. How long does a standard program last? Programs can run for as short as a week to as long as over a year. The length of time varies depending on what kind of project you are working on, and if volunteer turnover doesn’t affect the sustainability. The longer a volunteer can commit, the bigger potential impact they can have. To immerse yourself in a culture and explore a country, I’d recommend staying at least 3 months. To fully understand a community’s problems and start figuring out ways to help, I’d recommend staying at least 6 months. If you know you only have a short amount of time to participate (less than one month), you should consider an environmental or wildlife conservation program. Often these programs allow volunteers to do helpful tasks that don’t negatively impact the community. You don’t want to take on a role in which others will be dependent on you if you can only stay a short time. Do I need a skill? Many programs do not require you to have a set skill. Their programs are specifically designed so a wide variety of volunteers can step in, do the job, and then leave so another volunteer can take their place. Some tasks might seem menial, but they are important, and will likely be gone undone if there wasn’t a volunteer. This can include cleaning, filing papers, serving meals, painting walls, or playing with children. If you do have a skill, especially one that you can teach others, your volunteer experience has the potential to be more impactful. For example, if you are good with computers, you could teach an adult education class how to search, create documents, build websites, or manage their finances online. Or if you’re an experienced carpenter or architect, you can provide suggestions and improvements to the community’s infrastructure (as long as you listen to their needs and not assume your way is right!). Even if you’re assigned project is something like caring for children at a daycare, pay attention to the locals and always be on the lookout for how you can apply what you know and what you can do. You never know what hidden skills you might have that could help one person or a whole community. It’s so incredibly important that you research all aspects of your program before you go so that you’re sure you can handle the environment, project, and other circumstances. When you make the commitment to get involved in a project, people will depend on you to follow through. Leaving a project early can harm the community and leave a hole that the volunteer organization is not prepared to fill. That being said, you will not be forced to stay if you are extremely unhappy or sick. You will likely not get a refund if you choose to leave early, but you will be allowed to leave. Do I need a different visa to volunteer? The necessary visa is dependent on which country you go to. For some countries, there are specific volunteer visas that you must apply for. These can last anywhere from several weeks to several years. Some countries will require you to have a temporary work permit visa, which can be costlier. Having the right visa is very important when entering the country. Getting caught with the wrong kind of visa can get you expelled from the country, or worse. If the volunteer organization is adamant about you receiving the correct visa, this is a good indicator that they are ethical. Some will ask you to obtain the wrong visa to save them time and paperwork. Do your research and make sure the visa is applicable to the type of work you’re doing and the length of time you’ll be staying. After returning home from your trip volunteering overseas, you will be changed. It might be noticeable right away, or maybe it will take a few weeks to really soak in. Either way, it’s nearly impossible not to be at least somewhat altered after living among people with such a different way of life. Maybe you’ll start to be more conscious of what’s happening in the news in your host country. Maybe you’ll want to start trying other kinds of foods. Maybe the travel bug will have bitten you and you’re already planning your next trip. Pay attention to how differently you think about the world and what goes on inside it. It may take you a while to realize these subtle changes, but part of being a responsible volunteer is making sure you never stop reflecting on and learning from your experience. Volunteering can be intensely emotional and mind altering, and you should give yourself the chance to fully benefit from everything you experienced and learned. That being said, you shouldn’t go into the trip thinking “What will I get out of this?” Not having any kind of expectations is the better route to take, because then you aren’t limiting yourself to all that you could take in. Volunteering abroad is simply just an awe-inspiring experience and one that you don’t want to miss out on. The feeling of doing something unconventional, traveling to a far away land that you don’t know much about, and interacting with people so different than yourself will permanently change you.